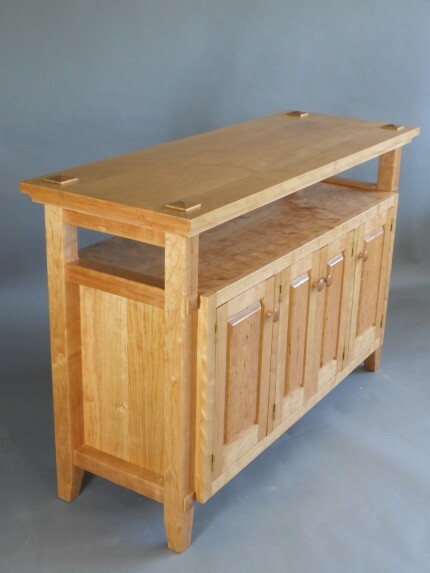 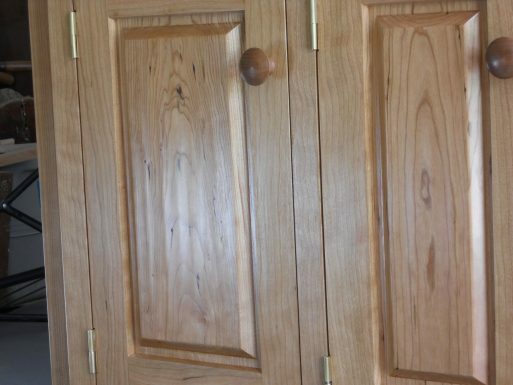 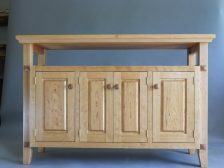 The thick top and stout legs straddle a four-door cabinet. 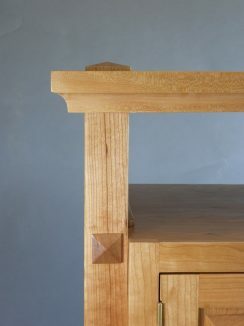 Through tenon and sliding dovetail construction insure a strong, long lifetime. 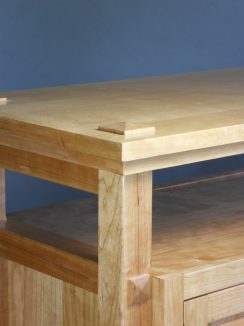 All surfaces are hand tooled so you can feel the mark of the craftsman’s tools,. 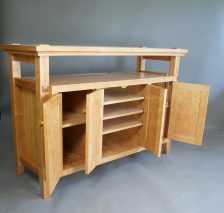 Features a large ‘sound bar’ and a cabinet to hold components and media. 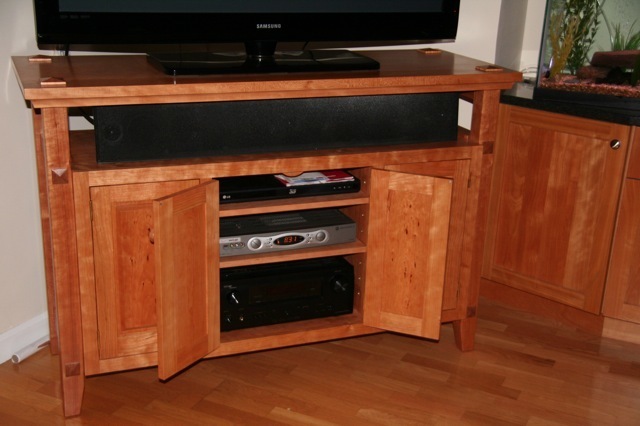 Functional details include venting, wire access for electronics and adjustable shelves.